'Catchers of the Light' is the first fully detailed and professionally researched History of Astrophotography. It is available as an eBook or Printed Book through our online store of the same name. CLICK ON THE ABOVE PHOTOGRAPHS FOR MORE INFORMATION. It tells the story of the ordinary men and women, who did such extraordinary things, overcoming obstacles as diverse as war, poverty, typhoid, death, unfriendly natives and even exploding donkeys, succeeding against all the odds to bring you the magnificent images you will see in its 1500 or so pages and its 1800 or more photographs/illustrations. If you like are interested in the History of Astronomy or the History of Photography, or Astrophotography in general then this is the eBook to buy. Bernhard Voldemar Schmidt was an Estonian optician who single handedly built a telescope whose optical design is used in the Kepler Space Telescope, which has recently discovered 'Earth' like planets orbiting another star. What is remarkable about him is that as a young boy he lost his right hand when an experiment with gunpowder went wrong and blew it off. Milton Lasell Humason used to be a 'mule skinner' driving these often stubborn beasts to the top of a 5715 foot high mountain, where a 'Great Telescope' was being built. Several years later he had become the night assistant to Edwin Powell Hubble and together they put a 'yardstick' on the size of the Universe. John William Draper, the son of a Methodist minister from St. Helens, Lancashire, travelled to America as a young man, where he became a Professor of Chemistry at New York University, as well as being the first person to take a photograph of an astronomical body, when in 1840 he successfully imaged the Moon; something the legendary, Louis Daguerre had failed to do, the previous year! 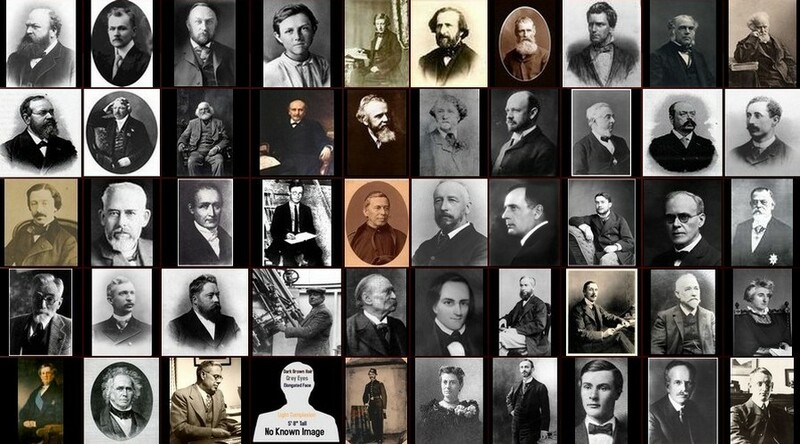 Below is a 'Gallery' of the pioneers of the History of Astrophotography, known as the 'Catchers'. 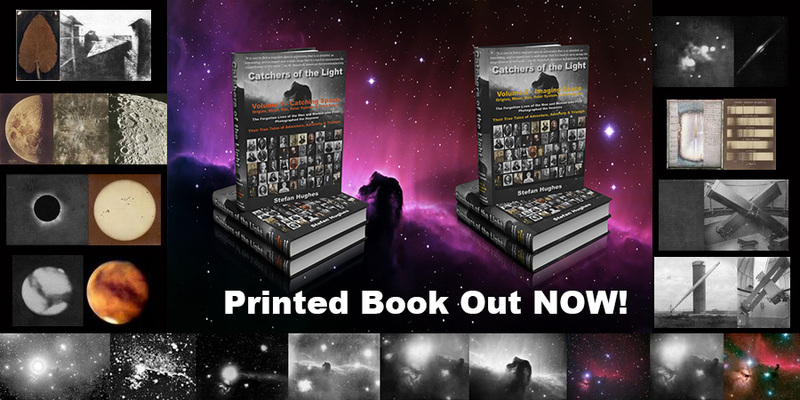 If you 'hover' your mouse over a picture you will see their name, if you 'click' a picture you will be taken to a page which will tell you more about your chosen individual, and also where you can buy their eChapter from the 'Catchers of the Light' eBook.